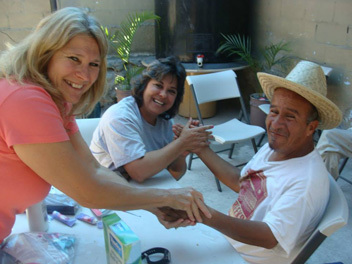 In addition to building houses for needy families, Puente de Amistad has other ministry opportunities that short-term mission teams can participate and minister in along with our partner ministries in Tijuana. Projects: Do various projects for different ministries. Churches: Teams can attend services at our partner churches as well as do dramas, give testimonies, preach and pray for people. Outreach: Perform street ministry, pass out tracts, use drama, skits, mime, etc. to reach the people of Tijuana. Feeding the Poor: We have opportunities to provide food and minister to the very poor in downtown Tijuana. Teams can also provide beans and rice plus pray for people in a squatter area named Alamar. Feeding Kitchen: Visit a feeding kitchen for children, prepare and serve meals, interact and share with children. Men's and Women's Rehabs: Teams can visit and minister in different Men's and Women's Rehab facilities that Puente partners with. 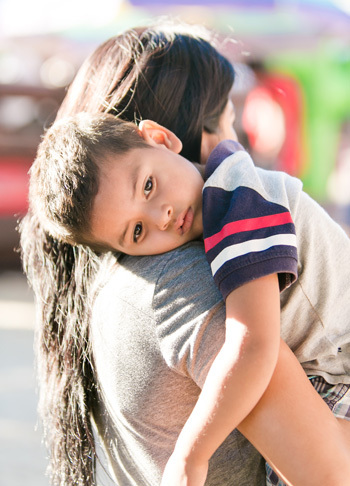 Orphanages: There are many orphanages to visit in Tijuana. Interaction with the kids is a great blessing for them and for you. They love puppets, crafts, music, etc. Hugs are well received. Aid Hospice: Minister to the patients of all ages at an AIDS hospice. Team members can do dramas, worship, preach, give testimonies and/or pray with the patients of the Hospice. 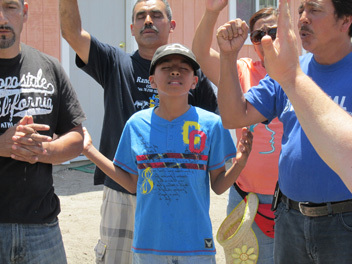 Much, Much More: There are many other opportunities to do ministry in Tijuana. Puente de Amistad staff will work with Short-term Mission Team Leaders to develop a schedule for the team when they are in Tijuana that will expose team members to many facets of ministry and outreach. Copyright © 2019 Puente de Amistad. All Rights Reserved.